If you were looking forward to a Samsung Note 9 with an in-screen fingerprint reader, the latest news may leave you disappointed. Twitter user 'Ice Universe' tweeted on 3 March 2018, that the cutting-edge unlock technology was being tested on the Note 9, but now a respected industry analyst says that the feature will not be ready in time for the Samsung Galaxy Note 9 release date later this year. That analyst was Ming-Chi Kuo from KGI Securities, who wrote a note to investors that was quoted on AppleInsider. In his note, Kuo said that the tech does not currently meet Samsung's standards so it won't appear in the Note 9. According to Kuo, the in-display fingerprint reader has "technical issues with screen protectors and different environments". Interestingly, though, Phonearena has shown an in-display fingerprint reader working with a screen protector. The example used was a Vivo X20 Plus UD, the first smartphone with an in-display fingerprint scanner launched in January 2018. Regardless, if Kuo's prediction is correct then we won't see an in-screen fingerprint reader on the Note 9. Does that mean we'll need to wait until the Samsung Note 10 is released to get it on a Samsung device? Given that the technology is already being tested and the issues holding back its implementation seem to be fairly minor, we doubt we'll have to wait that long. After all, the Note 10 release date is over a year away, probably August 2019. 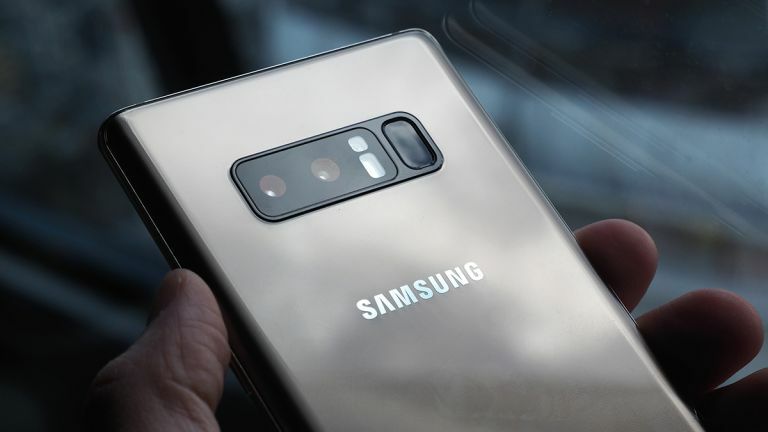 So we reckon we've got a good chance of seeing the tech make its debut appearance in the Samsung Galaxy S10. Now that'll be something to differentiate it from the Galaxy S9.